Keynotes That Inspire Your Attendees to Embrace Change, Deepen Engagement, and Step Outside Their Comfort Zone! 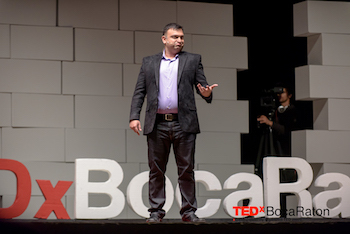 Avish Parashar is a funny motivational keynote speaker whose programs are a unique blend of humor, content, and interaction that makes the information relevant, engaging, and memorable. The world is changing faster than ever, and people often get “stuck in the past,” resisting and complaining about change instead of embracing it and moving forward. Workload increases while resources decrease, leading to the tremendous stress and overwhelm of constantly being asked to do more and more with less and less. Communicating with other people (customers, prospects, and other employees) who are difficult, different from us, or who respond to us in unexpected ways leads to stress, conflict, and missed opportunities. If your employees, members or attendees face any (or all!) of these challenges, and if you want a high-energy, hilarious experience that is the perfect way to open or close your event, then one of Avish’s motivational keynotes is just the thing you need! HOW you Respond defines WHO you are – as a professional, organization, or person. How will you Respond? In your vetting process, by watching their demo videos, reading their testimonials, and talking to them on the phone, make sure you pick a motivational keynote speaker who is funny, interactive, and gives your group valuable content they can use right away. Good question. The short answer is, “it depends on a few factors.” Avish has a variety of options that can work with most budgets. I would love to learn a little more about your event, objectives, audience, etc. Contact him now and we promise, by the end of the call you will have a clear fee number – no games or runaround! Contact us now to book Avish as the perfect motivational keynote speaker for your next conference or event!